After a long break, we’re finally back in the game, friends! The mac game, that is. I’ve been jokingly referring to this project as the “attack of the mac”, which seems pretty fitting. Both because of the monster vibe they quickly took on, but also because of my inability to fend them off. I may have eaten one or two… or twelve. 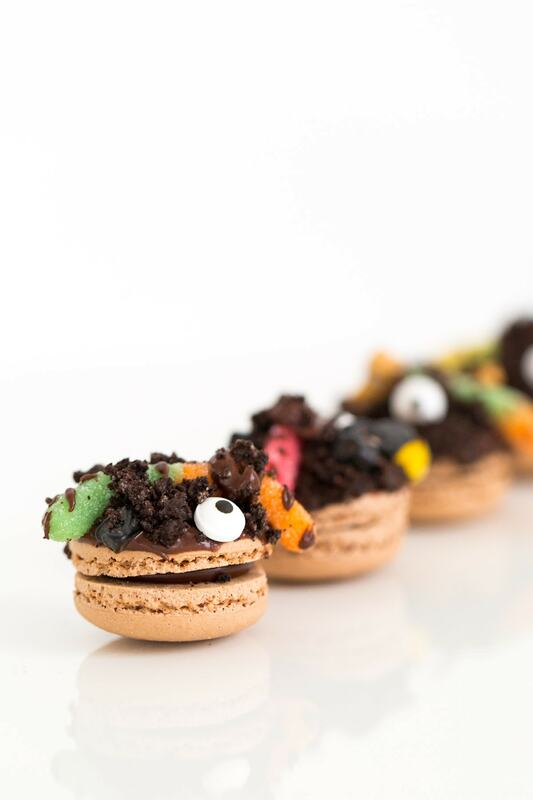 Last year we celebrated Halloween with candied apple macarons and this year we wanted to bring something special for all the chocolate lovers out there! 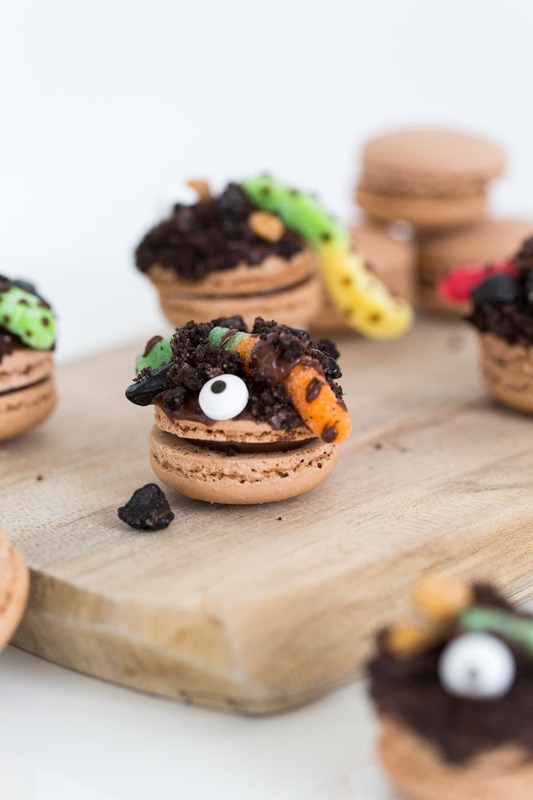 Whipping up these DIY dirt worm macarons meant using almost every candy and sugar we had in the studio — and we didn’t mind a bit. 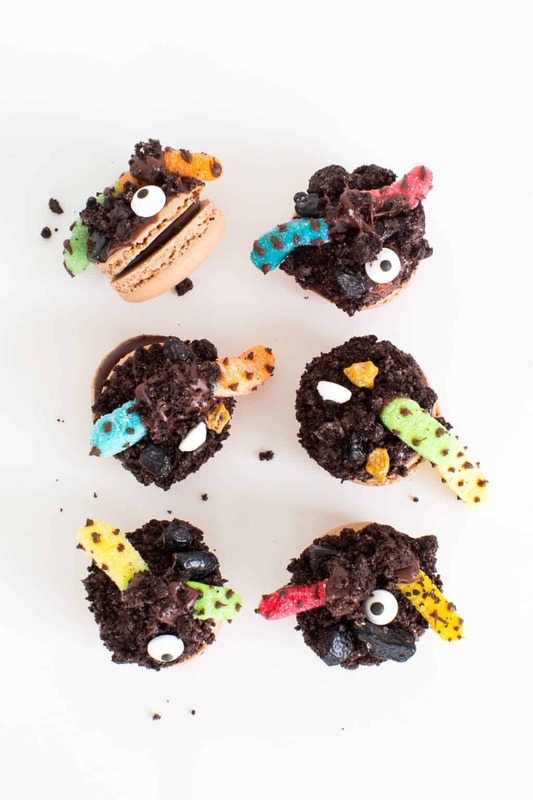 Everyone has a bag of edible candy eyes lying around somewhere, right?! I know I say this often, but really, there’s no way of messing this up! 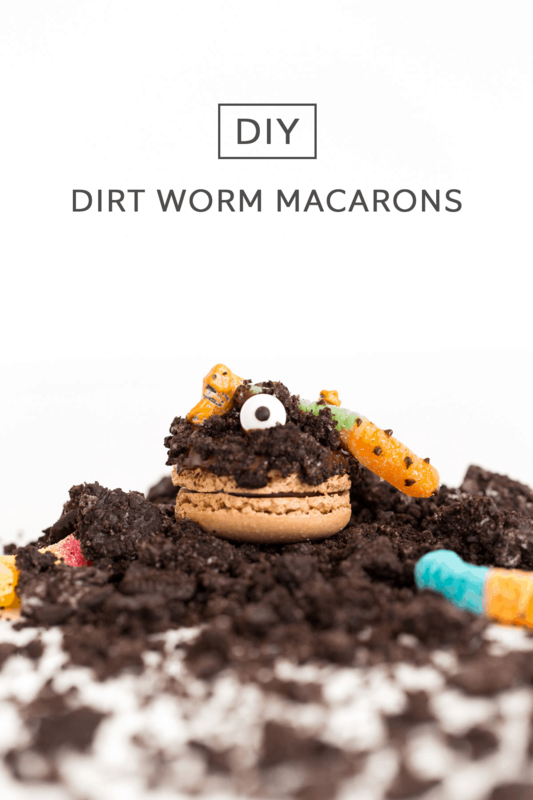 The messier, the better when it comes to dirt worm macarons. 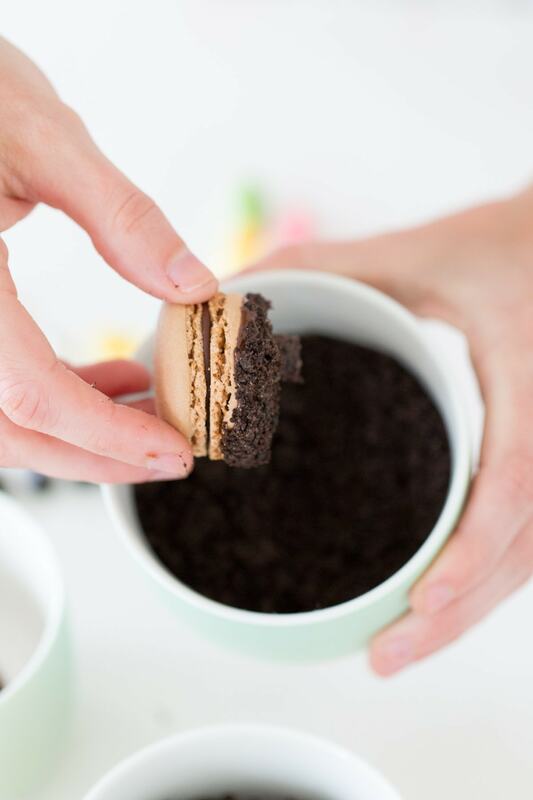 All you have to do in melt chocolate, dip the top of a macaron in, then dip it in a bowl of crushed Oreos. 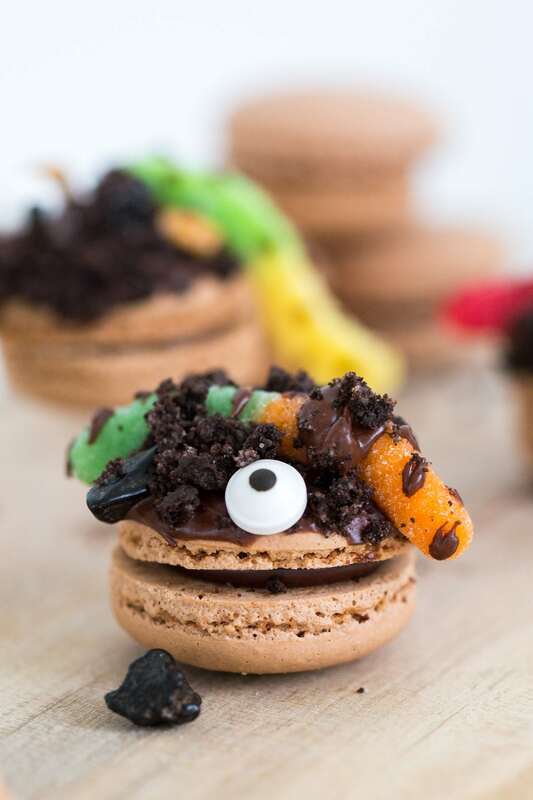 From there you’ll use the chocolate as edible glue to stick the gummy worms, eyes, and candy rocks on. 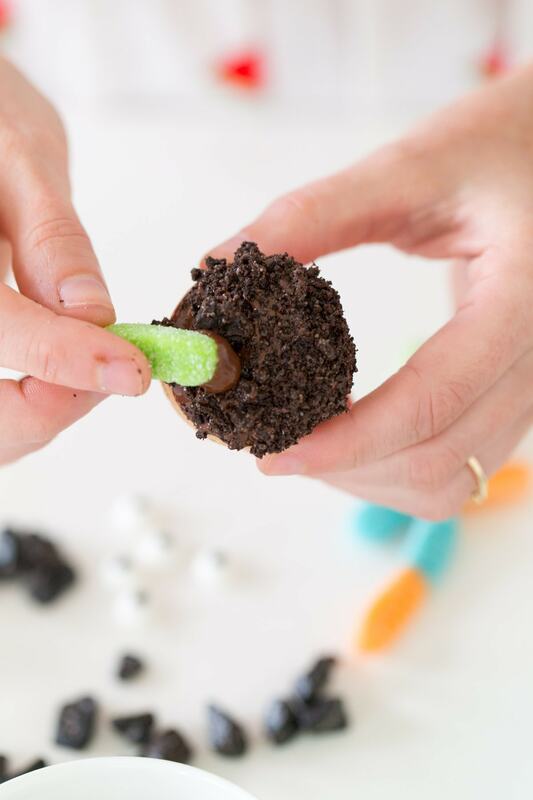 To give them a little extra umph, I used the end of toothpick to make chocolate polka dots and stripes on the gummy worms so that they looked extra gooey. 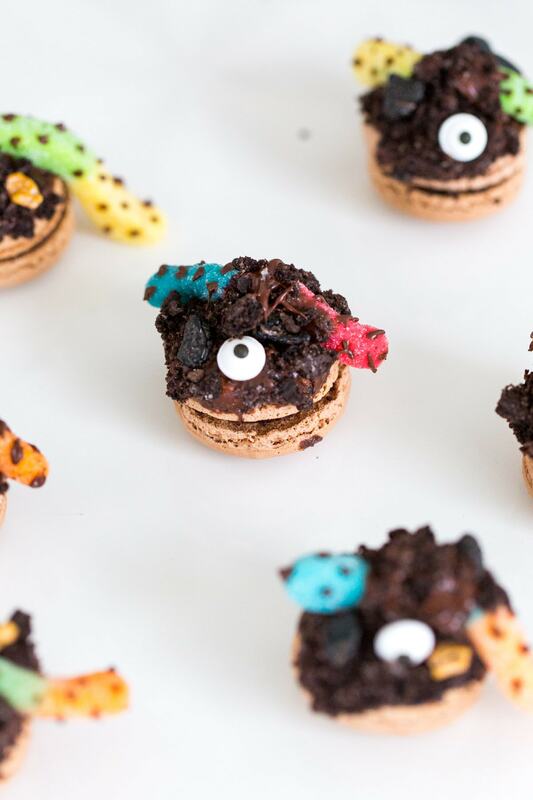 We’re definitely happy to be back on the #glossaryofmacs train and lately the ideas have been flowing for creating these little monsters. What about you guys? 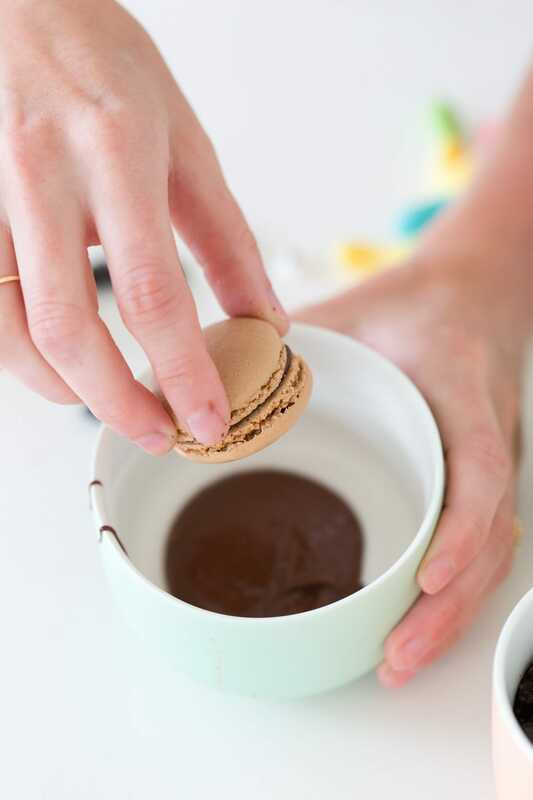 Are there any special macaron DIY’s you want to see from us this holiday season?! 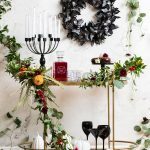 Oh my gosh this looks so good!!! my mouth is watering. Thanks so much, Bella! It was hard enough keeping our hands off them until we were done shooting, ha! 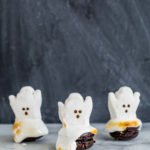 omg those are GREAT! 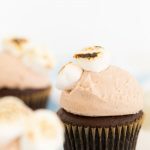 dirt worm cups used to be a favorite treat of mine!!! So cute<3 Can you do some Halloween costume as well?